I can see why a lot of people burn out on the Farmer's Wife blocks at this point. Though I really to keep going, I'm feeling a little burned out. Part of it is that I am trying to use scraps and it takes entirely too long to dig through my scraps to find fabrics each time so I may start cutting more from yardage. All of these came from scraps except the girl doing the handstand. This month for do. Good Stitches Kirsten asked us to make courthouse steps blocks using this tutorial in spring colors. This was my first time making these blocks and they were fun. And now I really want to start a project using some of these colors. your Farmer's wife blocks are so pretty. I totally understand being burnt out and taking way too long picking through the scraps, though. Yes. It is a long process and I am a burnout. lol Dropout may be a better term for me. The thing that is frustrating me is now that I stopped the fabrics scheme I had picked out doesn't do as much for me anymore. I mean…I love the blocks I made, but when I look at it now I can't help but imagine doing it differently. Anyway…all of that to say…have you ever considered going through your scrap bin and pulling fabrics you love for next couple rounds of blocks all at once? It may help you while you're working to have to dig through less. I dunno. That may be too much work as well. Your blocks really are turning out beautifully! Great blocks....the orange is my favorite. Someday I should get back to mine. Sorry that you're burning out Erica. 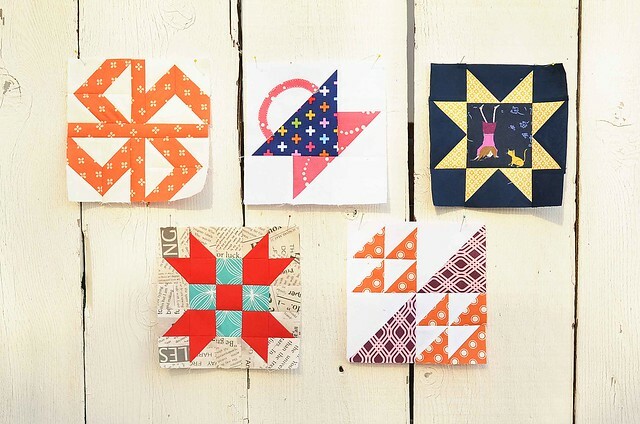 Have you considered paper piecing any of the blocks? But your FW are so pretty! Your colors have been so lovely, which can be hard to pull off when working from scraps. Maybe you could make fewer blocks per month, but keep up a trickle? Love your FW blocks! The colours are lovely, but I can see why using all scraps would be tricky. 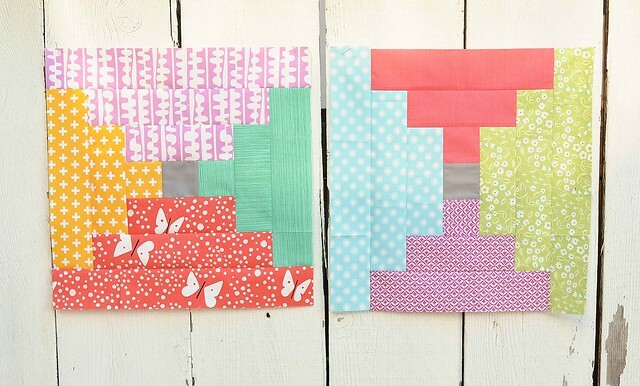 Perhaps you could make half of your blocks each month with scraps, and half with yardage? I've been working on my FW quilt for over a year, but I've got over 60 now, so I'm hoping in another year, I'll actually get them all made!